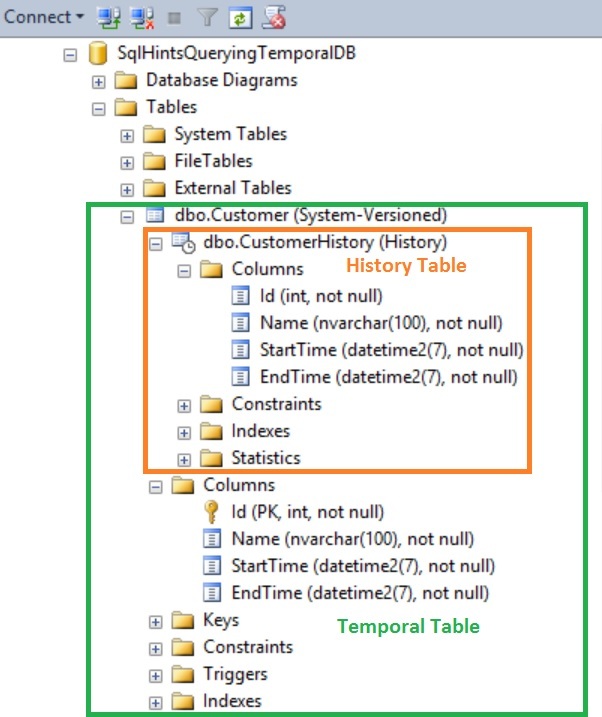 Add column operation failed on table ‘SqlhintsTemporalDemoDB.dbo.CustomerHistory’ because it is not supported operation on system-versioned temporal tables. 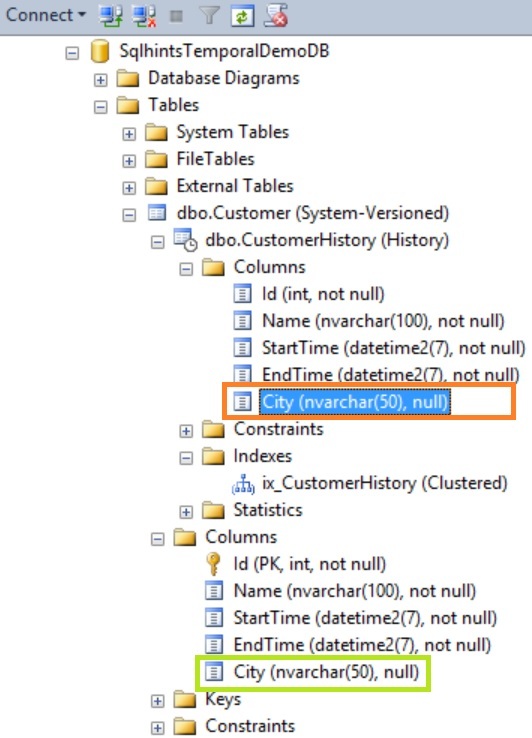 From the above result we can see that when SYSTEM-VERSIONING is ON we can’t perform DDL operations on the HISTORY table but we can add indexes and default constraint on the History table. 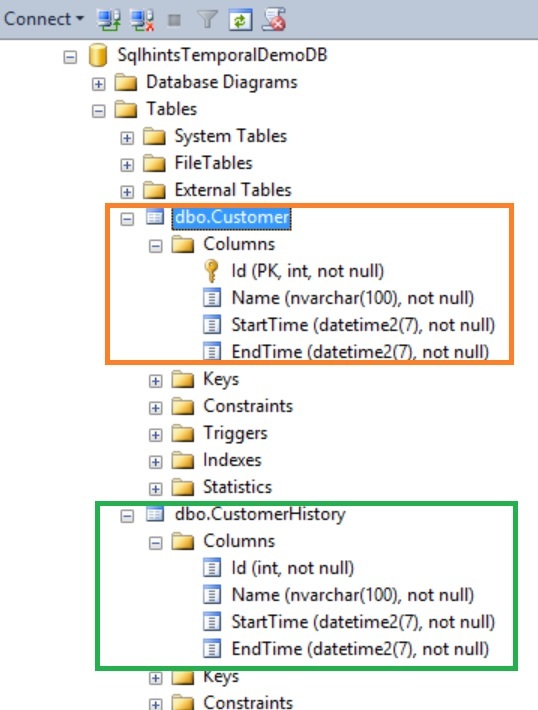 History table can’t have constraints like : Primary key, foreign key, table or column constraints. 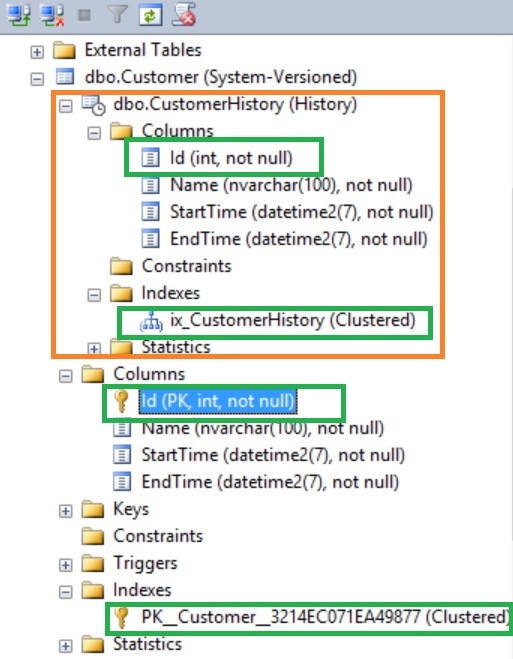 Properties like Period definition, Identity definition, Indexes, Statistics, Check Constraints, Triggers, Permission, Partitioning Configuration is not replicated from the temporal/current table to the history table when it is created. Below image shows that the primary key is not replicated from the Temporal Table to History Table when it is created. 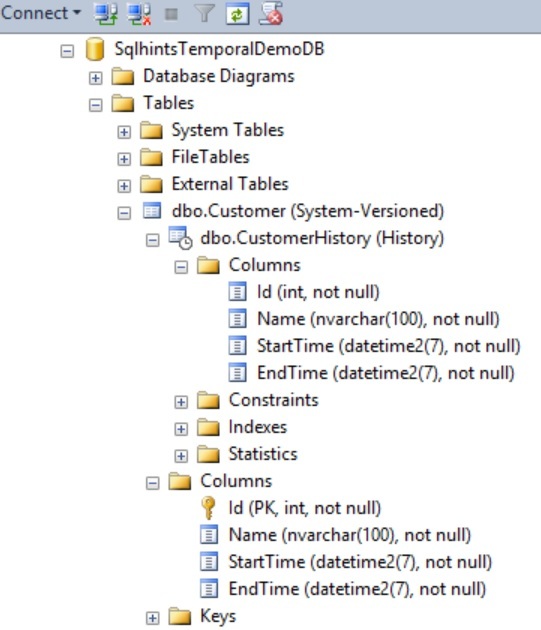 Drop table operation failed on table ‘SqlhintsTemporalDemoDB.dbo.Customer’ because it is not supported operation on system-versioned temporal tables. Cannot update GENERATED ALWAYS columns in table ‘SqlhintsTemporalDemoDB.dbo.Customer’.